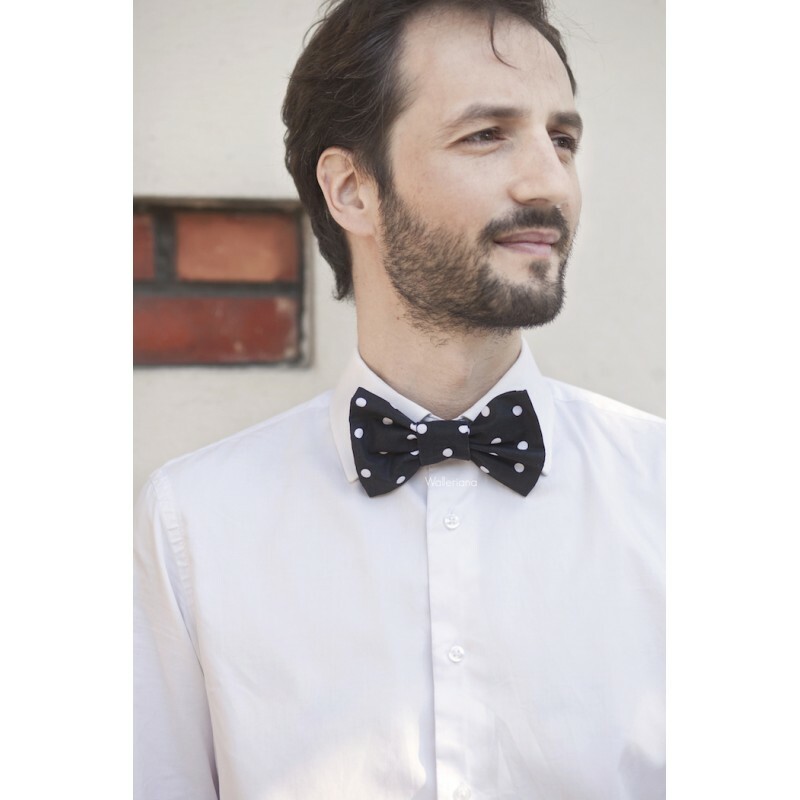 Innocent is a cute ready-to-wear unisex black bow tie with big white dots, from the bow tie collection "Le Palois". Matches our "Take me to New-York" black support socks. Can also be purchased as a set !